Watersound Origins home just listed for sale. Located just north of highway 98 and just west of Inlet Beach, this Watersound home features 4 bedrooms, 3 1/2 bathrooms, 2 car garage, hardwood floors throughout, a screened in back porch, stainless steel appliances, granite countertops, and 2,247 sq. ft. of heated and cooled space. 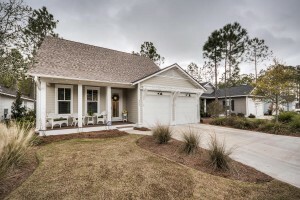 The community of Watersound Origins features the Village Commons pool, Fitness Center, access to Lake Powell, unlimited golf with no green fees at the Origins golf course, and so much more! Contact us today to chedule a private showing of this Watersound Origins home.